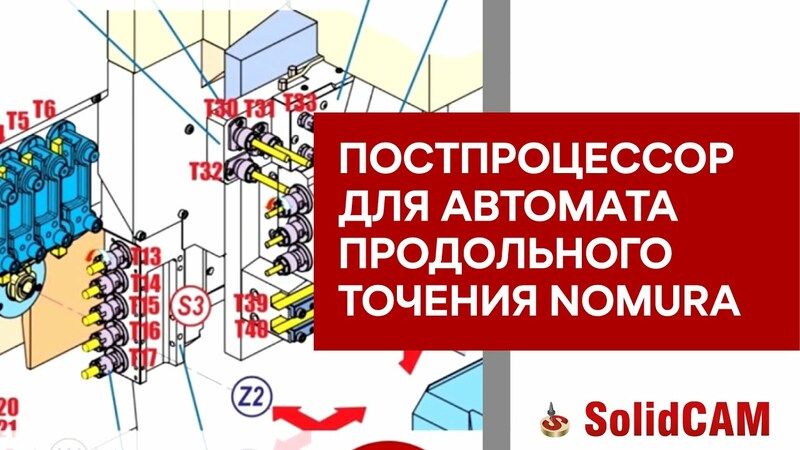 SolidCAM easily handles tail stocks, steady rest, sub spindles, rotary and linear turrets, along with C-Axis, CY-Axis and B-Axis, which are regular features on today’s Mill-Turn machine tools. In this high-collision potential environment, the programming of these machines is made simple and safe by utilizing SolidCAM’s turning and milling operations right inside your CAD assembly. 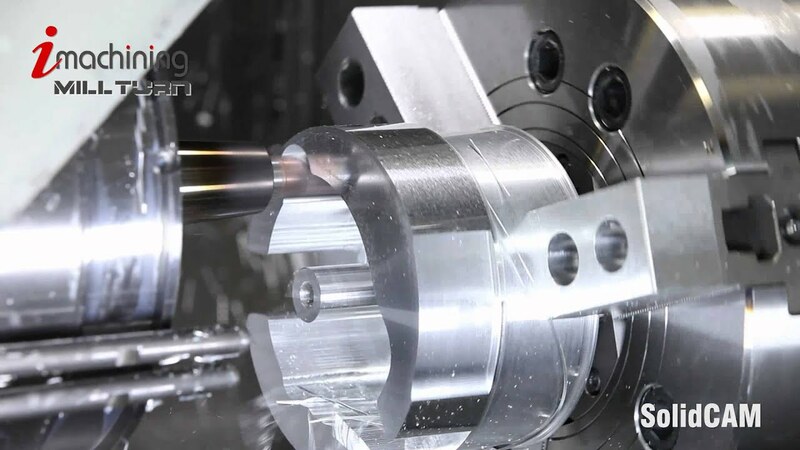 All SolidCAM milling and turning operations, including the powerful, revolutionary iMachining operations, are available for the programming of mill-turn machines. All ancillary devices can also be defined and taken into account for simulation and gouge checking. iMachining halves cycle times and makes cutters last 5 times longer for mill-turn on Mazak." SolidCAM automatically generates Turning Envelopes of complex mill-turn parts, allowing you to quickly Turn the outermost profile of the part. Go beyond just programming complex Multi-Turret & Multiple Spindle CNC machines, with intelligent management of rest material between Milling and Turning operations. This provides you with the most efficient tool paths and reduced cycle times, ensuring the highest possible productivity. SolidCAM provides you a complete kinematic simulation package for Mill-Turn, featuring simulation of Turning and Milling operations for all CNC machine components and devices. 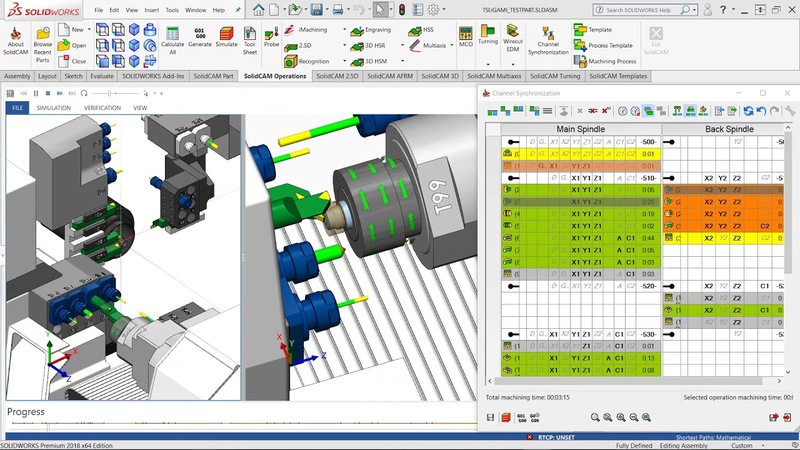 You can show real-time simulation using Feed data and the simulator provides full collision detection between machine components, workpiece, Fixtures and Tool Holders. You also have many display options for full control over every aspect of the simulation. All cycles and movements of the machine components and auxiliary devices (e.g. tail stock, steady rest) are graphically displayed, providing you peace of mind and safety as the part is fully tested before reaching your costly machine tool. This powerful function enables you to insert various control operations for taking full command of your CNC machine and activate different options and devices, for example: opening or closing fixtures, machine doors, activating coolants, rotating part, moving part from one table to another and synchronizing between axes. Setup and manage even your most complicated Mill-Turn machines, easily and effectively, by fully defining the CNC machine components and their kinematics. Machine axes are defined in machine ID by their direction, rotational speed (or linear feed) and physical limits. Manage how your part is mounted on your CNC machine and create relationships between the part coordinate system and the machine coordinate system, even defining multiple fixtures for each table. Easily define C-Axis machining by converting any 2.5D operation to C-Axis motion, which supports cutter compensation and short G-Code. Advanced coordinate sets include Split, Polar and Cartesian. Easily control the transfer of parts between your main and sub spindle using ready made Machine Control Operations. Automatically update and calculate the in-process rest material for your Mill-Turn operations both in Milling and Turning for huge time savings. Use iMachining 2D & 3D for your Mill-Turn parts to drastically reduce your programming and cycle time. iMachining also gives you the very powerful advantage of exerting smaller cutting forces which eliminate vibrations and excessive tool wear, especially for workpieces held in a non-rigid holder. These demonstration parts are examples for you to see how easy it is to use each feature to create tool paths and simulations. This demonstrates using Mill-Turn to machine a complex part using all the options of Mill-Turn, including back spindle and machine control operations. The link below includes the part with the fixture, posts and machine type for Machine Simulation. This demonstrates machining an impeller using Mill-Turn with Simultaneous Multi-Axis Milling. The link below includes the part with the fixture, posts and machine type for Machine Simulation. You either have a multi-spindle/multi-turret CNC machine, or you want one. SolidCAM is the perfect solution for your present or future multi-tasking machining needs, with the ultimate in programming flexibility and configurability. Program multi-turret and multi-spindle operations, with full turret synchronization, then watch SolidCAM's simulation of your material being machined in multiple stages, transferring from spindle to spindle without user intervention - stock is inserted at one end, complex finished parts come out the other. 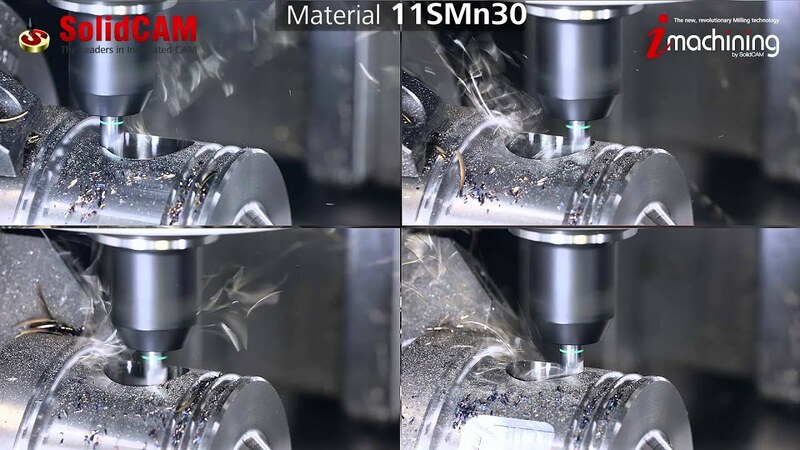 SolidCAM provides powerful programming tools that are easy-to-learn and use, covering the full range of 4/5-Axis Simultaneous Mill Turn machines. SolidCAM completely supports Swiss-type mill-turn machines including multi-channel synchronization.